WOW….knock your socks off good, at least for lunch. Great service, too. Best salad Niscoise I think I’ve eaten outside of Paris. Great Pommes Frites, too (took several forkfuls off husband’s plate). Not an overly evolved wine list but some worthy French wines to be sure. Hey, I’m not saying this restaurant is in the same league as Cyrus or Bouchon. Actually I could say, “thank God” it’s not anywhere near the stuffy and overly pretentious Cyrus in Healdsburg. This restaurant delivers what it’s name implies. Honest, bistro food that is exceptionally prepared. Great outdoor dining area, weather permitting. 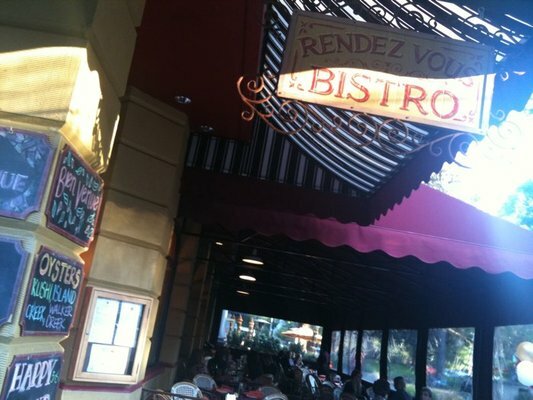 Definitely going back to check out their crepe menu, sip some more white wine and reminisce about days spent near the Seine at a French bistro…..Kid friendly, 10 and under eat FREE every day!